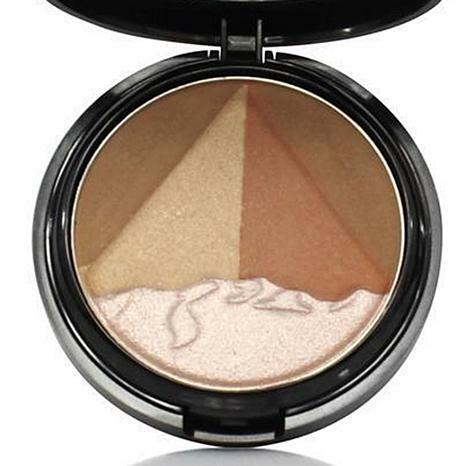 Once applied, our 3D Pyramid - Egyptian Clay Bronzer gives a beautiful sun kissed tanned look to your face while also providing the natural glow every woman desires and expects from a quality bronzer. This product can be applied softly or double-duty for a more tanned look. 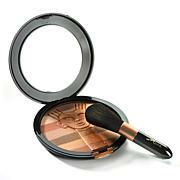 3D Pyramid - Egyptian Clay Bronzer is an economic cosmetic option that feels like a splurge. Ingredients: MICA, ZINC STEARATE, STARCH OCTENYLSUCCINATE, DIMETHICONE, SILICA, NYLON 12, MAGNESIUM SILICATE, TRIMETHYSILOXYSILICATE, ETHYLENE/ACRYLIC ACID COPOLYMER, PHENOXYETHANOL (And) ETHYLHEXYGLYCERIN. 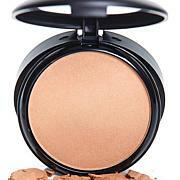 MAY CONTAIN: TITANIUM DIOXIDE (CI 77891), IRON OXIDES (CI 77492, CI 77491).